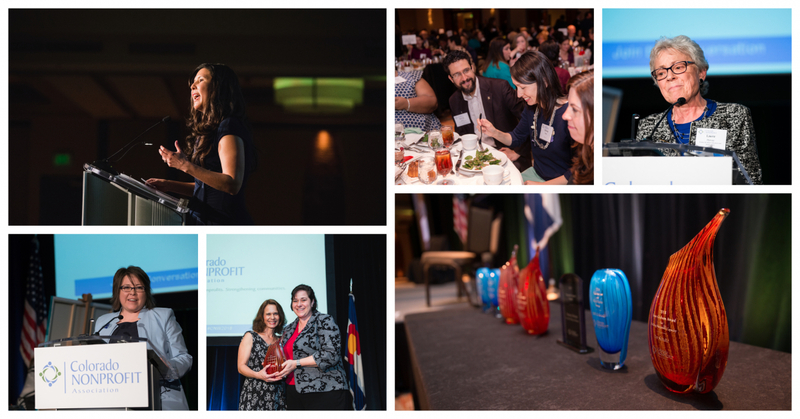 It was our distinct honor to recognize the outstanding individuals, companies and organizations who make a positive contribution to our community at this year's Colorado Nonprofit Week Award Luncheon. This year, we were excited to honor our winners at the Nonprofit Day Conference in Colorado Springs, while we celebrated our recent merger with the Center for Nonprofit Excellence. We also look forward to the Colorado Nonprofit Week Awards Luncheon returning to Denver in 2020. Colorado Nonprofit Week sponsorship is an opportunity to promote your organization’s commitment to nonprofits and your community – in front of Colorado’s prominent nonprofit, business, and public service influencers. To learn more, please contact Lindsay Newman at lnewman@coloradononprofits.org.